Halo: The Master Chief Collection is coming to PC, but it’s coming in pieces starting with Reach. We haven’t had official word on exactly how long it’ll take to get the full package, but it seems we won’t have to wait all that long. A newsletter from co-developer Splash Damage suggests that the whole of the collection will be available on PC by the end of 2019. The newsletter says “Halo: Reach is coming first, with the rest of the titles scheduled throughout the year,” as noted on ResetEra. (The rest of the games, for the record, are Halo: Combat Evolved, Halo 2, Halo 3, Halo 3: ODST, and Halo 4.) That’s far from a firm date, but it does suggest that the releases won’t be dragged out over too big a span of time. 343 says it wants to get Reach ready before committing to a proper release date, though the studio says work on porting Halo 1 is “underway almost in parallel,” so there’ve been previous indications that the gap wouldn’t be huge. Additionally, we can expect a closed beta to get an early chance to see the game – and hopefully catch anything that’s broken before it actually ships. Halo: The Master Chief Collection is coming to Steam alongside the Windows Store, and the initial announcement put to rest years of speculation about all those games finally getting a modern port to PC. Now we just need to wait out that Halo Infinite release date. 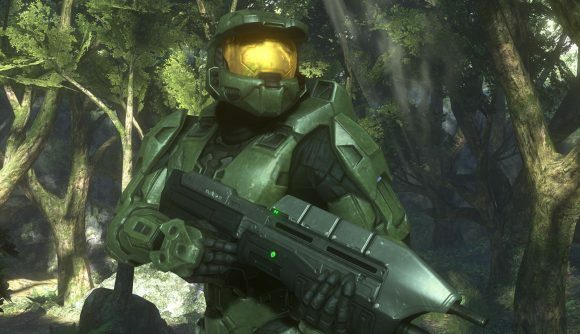 The Chief’s going to keep us waiting no matter what, it seems, but at least that means we’re finally taking down the Covenant with precision mouse aim.